Wicked Lasers has made a name for itself by building incredibly powerful handheld lasers that it's still legally able to sell to the public. At the top of the heap is the Wicked Lasers Arctic which blasts forth a full watt of focused blue light. But when you tire of getting in trouble with the FAA you can now easily convert it into a bright white flashlight. 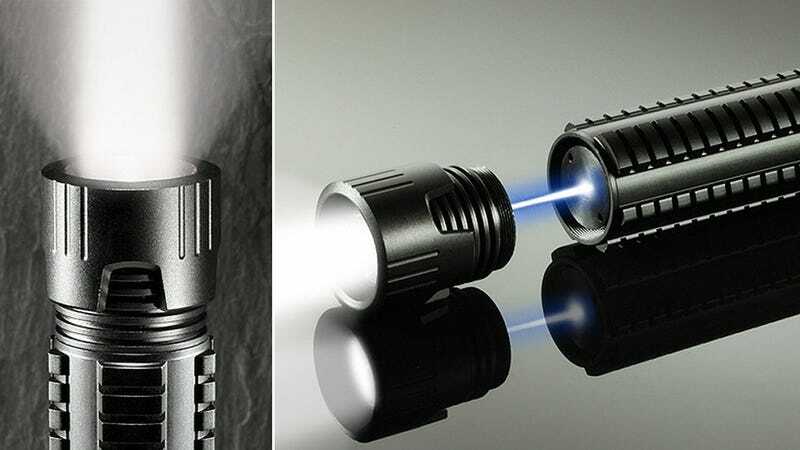 The Phosphorce is a simple adapter that turns the Arctic's focused blue laser into a diffused white 500 lumen beam so it can be used as a relatively safe flashlight. You're not going to want to shine it directly into someone's eyes, but you also won't set them on fire if they cross the beam's path. The Phosphorce uses a simple phosphor filter inside to magically neuter the laser, but it will still cost you $80 on top of the Arctic's $300 price tag. Expensive, but when it comes to lasers, who ever needed a good reason to justify the price?